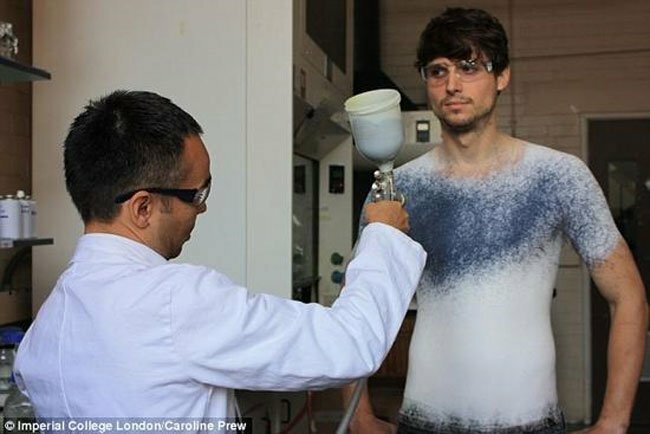 Fabrican is a fabric in a spray can, it can be sprayed onto the body, and once dried it will turn into a garment which can be washed and used again, as you can see in the photo below a T-shirt has been created by the spray on fabric. Fabrican was developed with a collaboration between Imperial College London and the Royal College of Art, and the joint project was headed by Spanish designer Dr Manel Torres, you can see a video of it in action below. The Fabrican can be used to create virtually any garment, and dresses created with it will be shown off at the London Fashion week, no doubt we will be able to buy spray on clothes in the stores within the next few years.